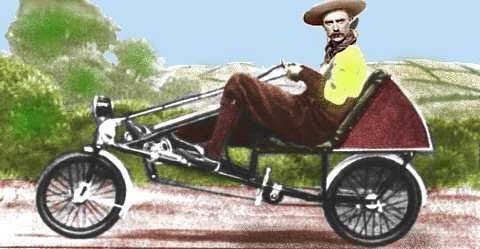 This earliest model of Velocar recumbent ran for only one year. It was so low-slung that it was hard to ride and the riding position was therefore altered in 1933 for subsequent models. This 1932 prototype model was named in the Mochet catalogue as a Velo Velocar (V.V), but for the first year it was actually known only as a Velocar, bearing the same name as Mochet’s four wheeler. The machine was so radically diverse that the cycling press loved it. Unfortunately, the racing fraternity disliked it intensely …because it was too fast! It was banned from events, and debates took place over whether it could even be considered a bicycle. As well as a much more ‘laid-back’ riding position on this earliest prototype model, the steering head is unique (see below). I don’t normally feature other people’s bicycles at the Online Bicycle Museum, but this one is very special and I am advertising it for sale. It’s owned by my friend Bob, who is the marque enthusiast for Velocars and recumbents. He rebuilt it in recent years. He also owns two later models (1934 and 1940 – see photos lower down the page), which he rides regularly. 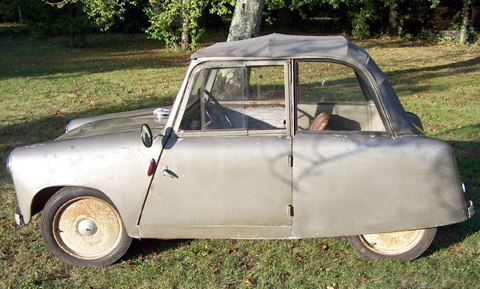 As he finds this one too hard to ride because of its ‘low-slung’ configuration, he has asked me to sell it for him. Everything is in excellent order and it is ready to ride. For a purchaser in main parts of Europe it can be delivered by a road transport company. For other worldwide locations, it will be fitted with a custom-built wooden crate and sent by air or sea freight. 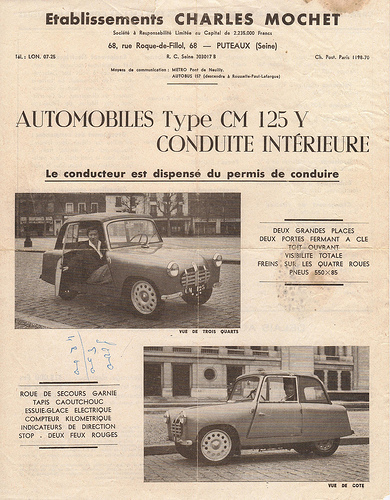 While Bob’s 1932 Velocar is the first of Mochet’s recumbent bicycles to bear the Velocar name, this 1956 125cc car is the last model to bear the Velocar name, as the company ceased production in that year. There are vintage bicycle enthusiasts all over the world. Howdy y’all in the U.S of A.